Where is the Asian Casino Market Headed? 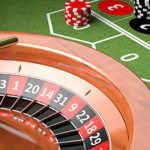 Having seen the crossroads of technology and gambling, the question arises: Which is the path best taken to bring back the younger generation to casinos. Are Casinos of Interest to New Millennials? Are Casinos Really Accessible to All?